Christmas is just around the corner! Are you ready? 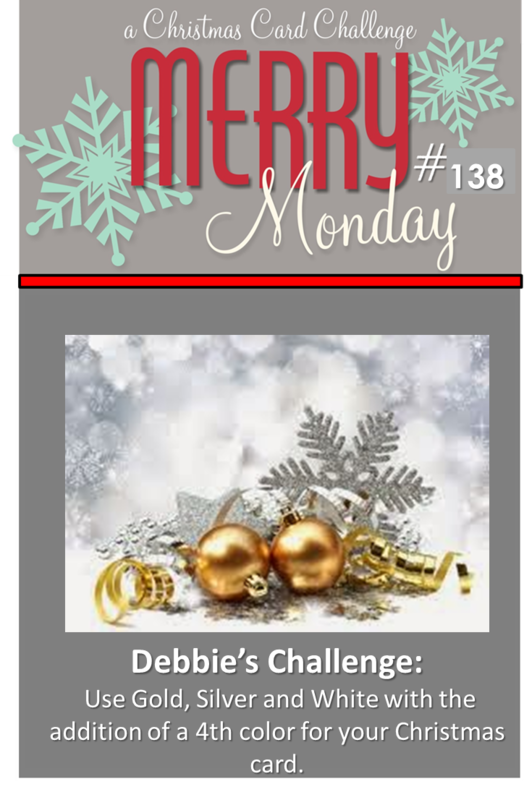 Join us at the Merry Monday Christmas Card challenge this week and be inspired to create more Christmas cards.Debbie has a beautiful challenge for us: Use gold, silver, white and 4th color of your choice! 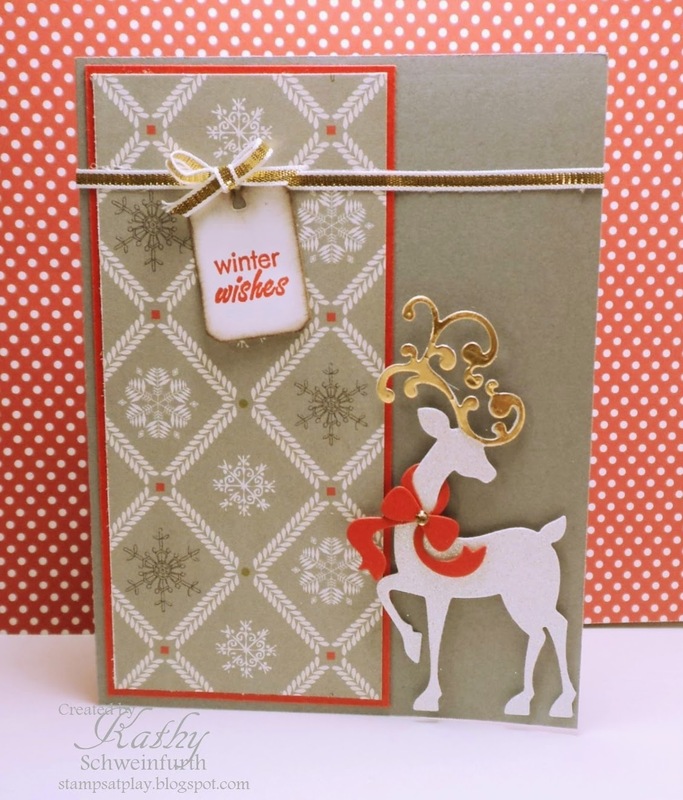 I used a new reindeer die from Jillian Vance Designs - I LOVE reindeer dies! The Merry Makers have come up with some gorgeous inspiration for you so stop on over to the challenge blog -- and hope you'll join us this week! beautiful card, love the cute reindeer with the red bow! Love this reindeer, Kathy! He is very handsome! Love this paper too! Hope you've had a great week! I have been swooning over that reindeer for a while now, Kathy! LOVE this!!! Wow...love that reindeer, especially with the gold antlers, Kathy! I hear you with the photography issues and silver...not my favorite thing to photograph! Happy Holidays, Kathy! Kathy this card is amazing. The pop of red looks fabulous! Glad I'm not the only one who has trouble getting colors to look right in my pictures. This is just beautiful & I can tell it's silver! Great design & elements! Love your reindeer die Kathy you're card is so very elegant.